ChickChat: NO. I am not obsessed. Much. So, I love Pinterest. For a lot of reasons. One being that it's enabled my Dr Who obsession to a degree I didn't know was possible. Well, a while back I bought myself a Kindle from Amazon. Now I always said I had no room in my life for an e-reader, because I heart paper books big-time. But it turns out I was accidentally lying to myself because the Kindle is incredibly handy. With all the kids' activities, I do a lot of waiting around and it's great to fish out the Kindle instead of risking my precious books' spines. But the Kindle got even more amazing today when this arrived. YES! 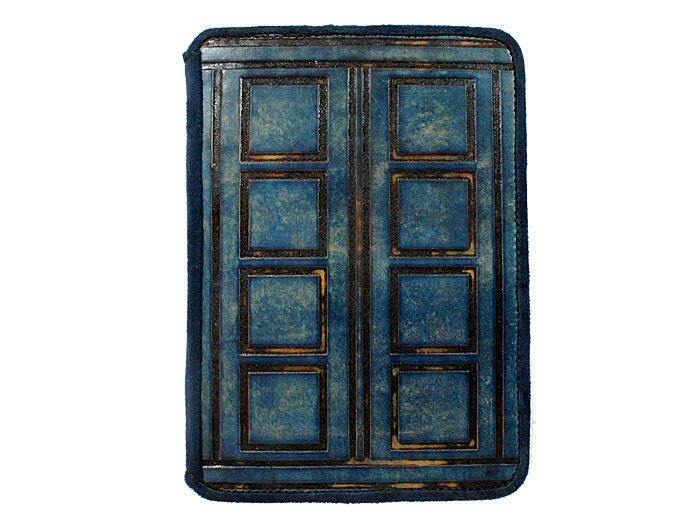 a TARDIS skin! NOW I can travel through time and space. OK, technically, I could always travel through time and space just by reading a book, but admit it, that looks totally cool, doesn't it? So, do YOU have an obsession? some little quirk you would indulge if you could? tell me about it, please. Or I'm going to feel just a little bit exposed, here. OBSESSION ????? WHAT OBSESSION ???? Toni i will put up a pic on my blog of our bookcases ............and re: kindle ... maybe if i am a GOOD GIRL hubby will bring me one back from Singapore !!!!! p.s. LURV THE COVER !!!!!!!!! and i think the answer to my question is .... NO !!!!!! Hi Toni Love your kindle cover. and looks like you have an awesome book collection. One of my favorite things to do is hide somewhere with a book. You need a bigger bedside table. I love the Tardis skin!! How is it different from a Kindle cover? 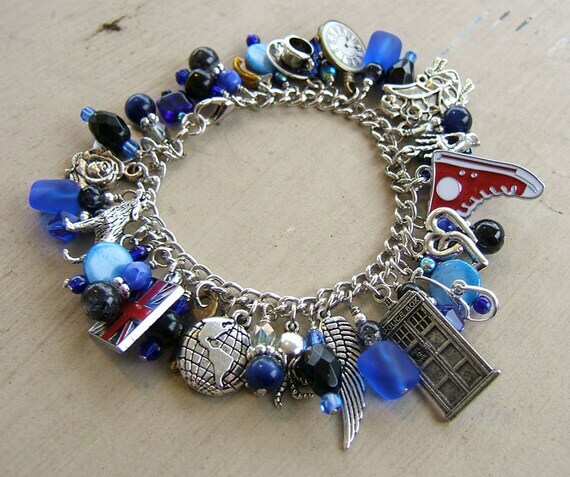 That Dr Who bracelet is awesome! Do they have a Big Bang Theory bracelet? Hi River -- a skin is purely decorative, thin sticky plastic that goes on the Kindle itself -- whereas the cover is more like a folder that you put the Kindle in to keep it safe. And Jennie makes bracelets to order, so you could ask her and I'm sure she'd be happy to make you one. Obsessions... hmmm... so many to choose from... which one do I want to confess to? For a while, it was all things pug and I had a brief remission when Tink passed, but now that I have Henry I have relapsed. Books about all things dog... most def, but I've not got a Kindle ... yet. I think my book collection may envy yours. Now, since I'm trying to not have an intervention on my hoarding issues and am cleaning out my BTR [Bermuda Triangle Room]... I'm trying to get treatment for most of my obsessions. 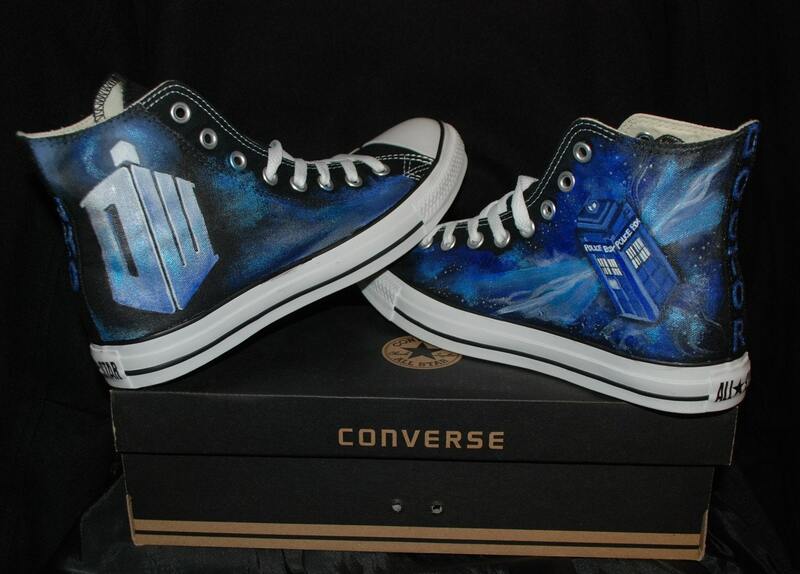 Ohhh, I don't even watch Dr Who and I want those things! It's not that I don't want to watch, but I've missed so much of the new doctor, where the heck do I start? How's The Night Circus? That's on mine and the little un's TBR list. LOVING that Dr Who stuff!! And storing it away for nearly everyone I know's birthday/Xmas presents!! And don't even start talking books ... my spare room has virtually nothing else in it! !